The combined data of a concentration and a velocity meter offers your dredge master vital production management data. The redesigned cross needle read out offers all vital data accessibly. 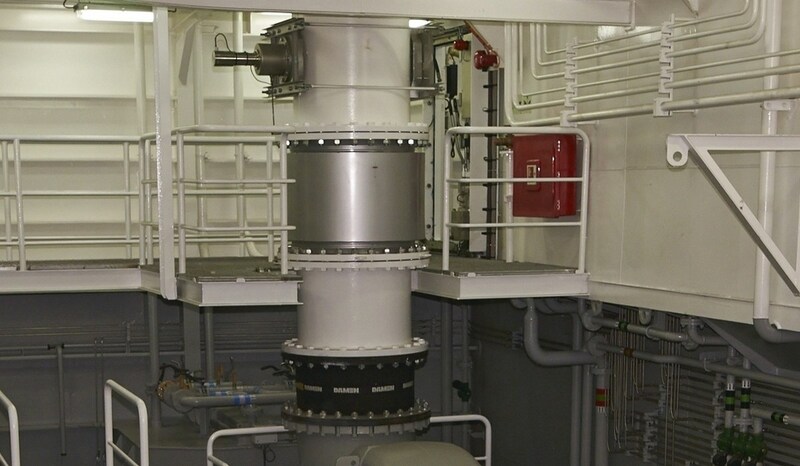 Concentration and velocity meters can be mounted on deck and in the engine room. A safe and compact unit for maximum pumping efficiency. 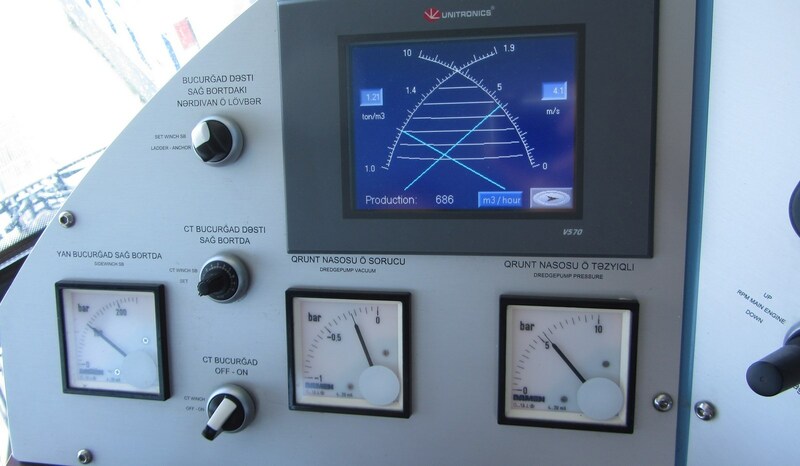 Deck mounted concentration and velocity meters in a discharge pipe of a barge loader. 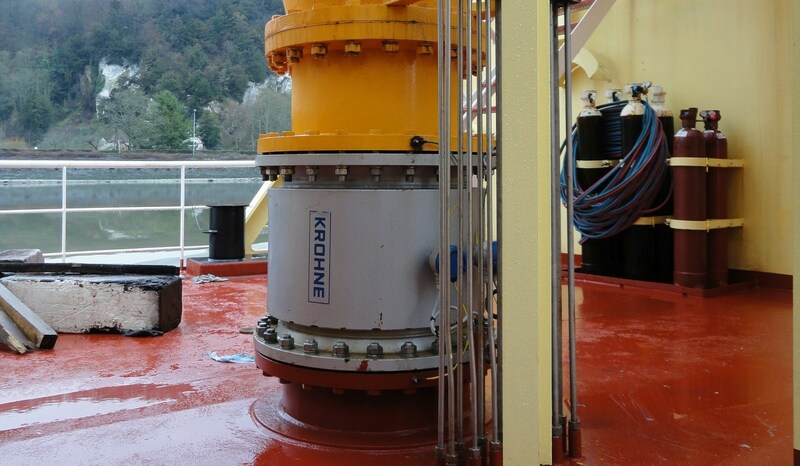 Deck level mounted velocity meter provides the dredge master with vital process data. Separate measurement units are available in a wide range of pipe diameters. The combined signals of the concentration and velocity meters allow full process insight. The velocity and concentration meters have been designed for use in an sand water mixture. The cross needle indicator is bult into the dredging desk. 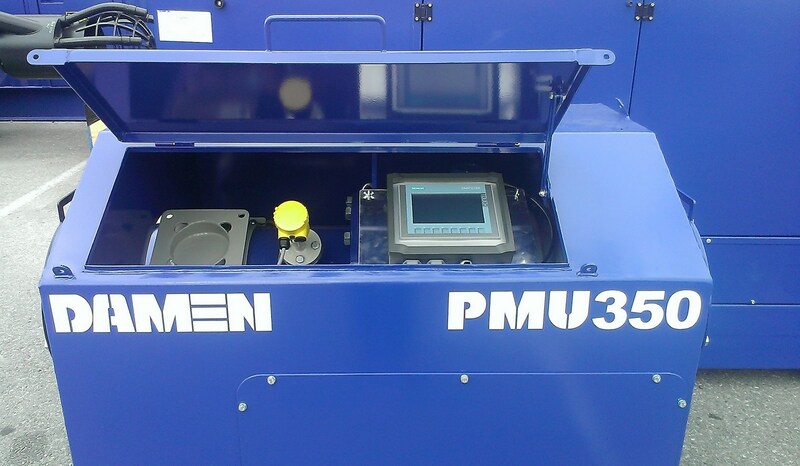 Damen field service crew can assist on-site with reassembly and commissioning. Crew training and technical assistance can also be done locally. The Ro-Ro Deep Dredge, which can work up to a 200 m dredging depth, has been specifically designed to meet demand from this sector and sets out to challenge current technical limitations. A flexible dredging concept which revolutionises dredging in the 21st century, its modular approach will open up the dredging sector through its ability to enable other vessels or contenders to enter the deep sea mining market in a cost-effective way. 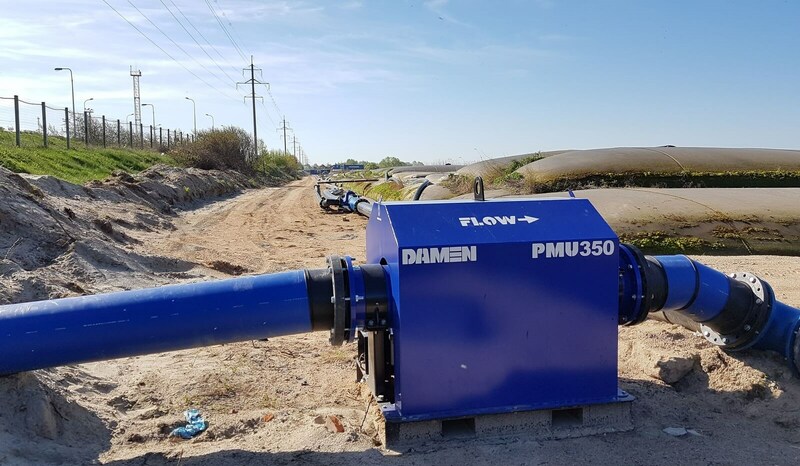 The new Damen dredge pump has been developed by the in-house R&D team. It has a highly efficient double-curved impeller that ensures excellent suction. 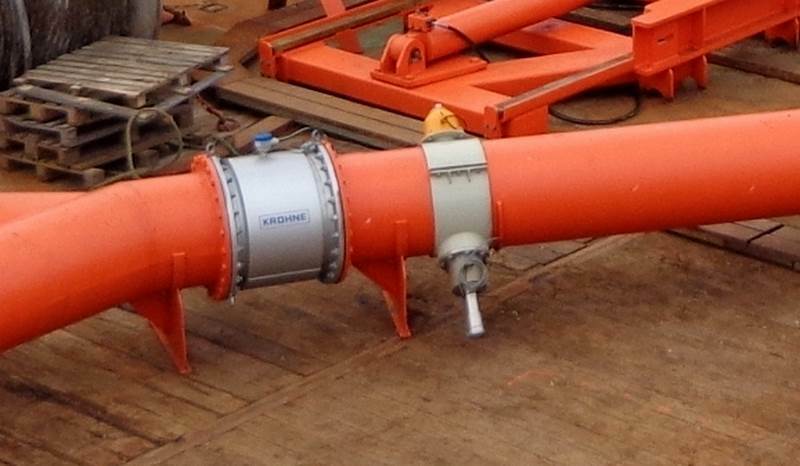 Damen designs its own extensive range of dredge pumps. This includes low, medium and high pressure dredge pumps designed to deliver maximum efficiency and minimal wear. Most shaft sealings are performed by mechanical seals. Damen's highly efficient dredge pumps are fitted out with a maintenance and environment-friendly mechanical shaft seal. These special shaft seals do not require grease or gland water, so minimise service downtime. 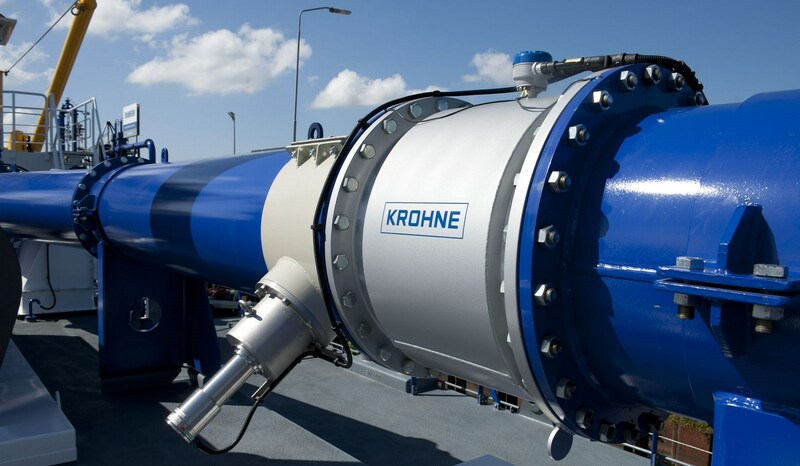 Existing dredge pumps can be retrofitted with this ecologically-sound alternative. Damen works continuously to improve all its dredging components, and recently a completely new line of drag heads was launched. The design is based on the latest CFX flow prediction software in combination with feedback from many customers. The new drag head has resulted in improved production. Damen delivers instrumentation package to "Margaret Ann"